ST. GEORGE – Several lightning strikes across the county sparked small brush fires Monday. While a number of the fires have died down, others are being closely monitored by fire officials. 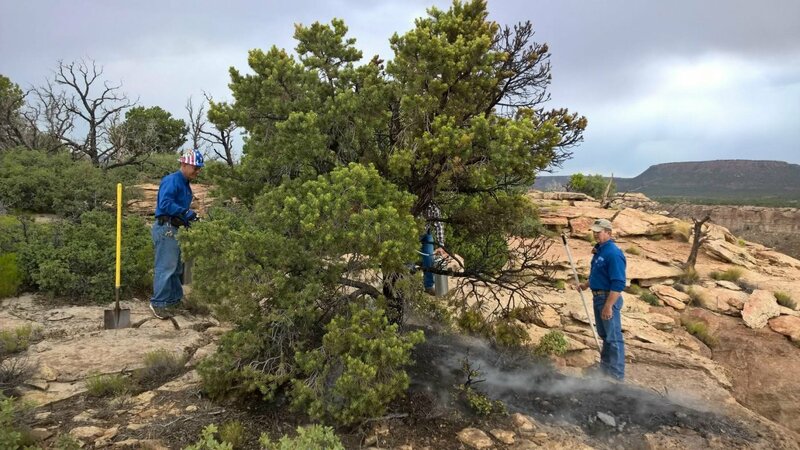 The fire on Gooseberry Mesa was estimated to be around 2 acres in size as of 7:30 p.m., said Bill Roach, manager of the Color County Interagency Fire dispatch center. Approximately 11 fires across the county were started by lightning Monday. Three of the fires occurred on Smith Mesa, Roach said. However, before firefighters arrived on scene, rain had put out two of the fires. A fire crew from Hurricane Valley Fire was dispatched to the area to deal with the lingering fires. A small brush fire also ignited near the Hurricane Mesa Test Facility that was dealt by UTC Aerospace Systems employees. 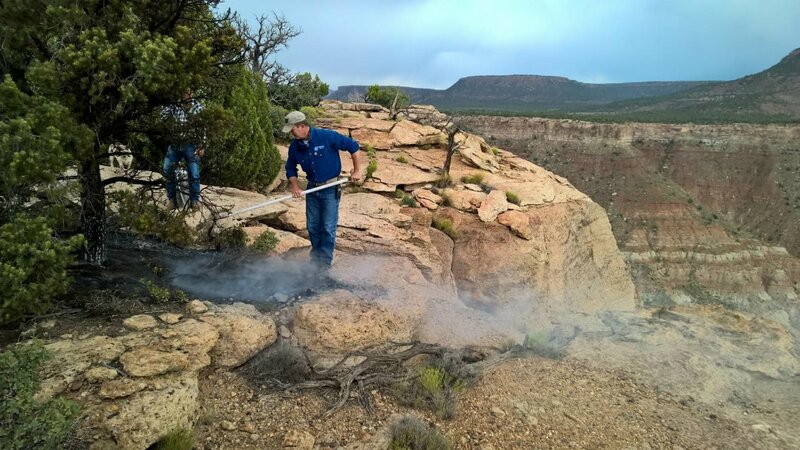 The fires in the area were generally handled by the Bureau of Land Management. Color Country will continue to monitor lightning-touched areas for another two days or so, Roach said. This will be done through flyovers as pilots look for any potential signs of fires flaring up that were thought to have been doused by the rain. Summer lightning is a common cause of brush fires, Roach said. He also said people need to be mindful and careful so they aren’t the cause of a fire themselves. “We’ve got enough fire,” he said. Fire season officially began May 1 and typically runs through Sept. 30. So far this season, the majority of brush fires in Color Country’s jurisdiction has been human-caused. Color Country Interagency Fire Center oversees some 15 million acres including Dixie National Forest, the Arizona Strip, Zion National Park, Southern Paiute tribal lands and areas administered by the Cedar City Bureau of Land Management, including the five counties of Southern Utah: Beaver, Garfield, Iron, Kane and Washington. Concern over fires has even led to Gov. Gary Herbert lending his voice to promoting wildfire preparedness over public service announcements like the one shared at the top of this article. Color Country Interagency Fire Center oversees a vast area: some 15 million acres including Dixie National Forest, the Arizona Strip, Zion National Park, Southern Paiute tribal lands and areas administered by the Cedar City Bureau of Land Management, including the five counties of Southern Utah: Beaver, Garfield, Iron, Kane and Washington.